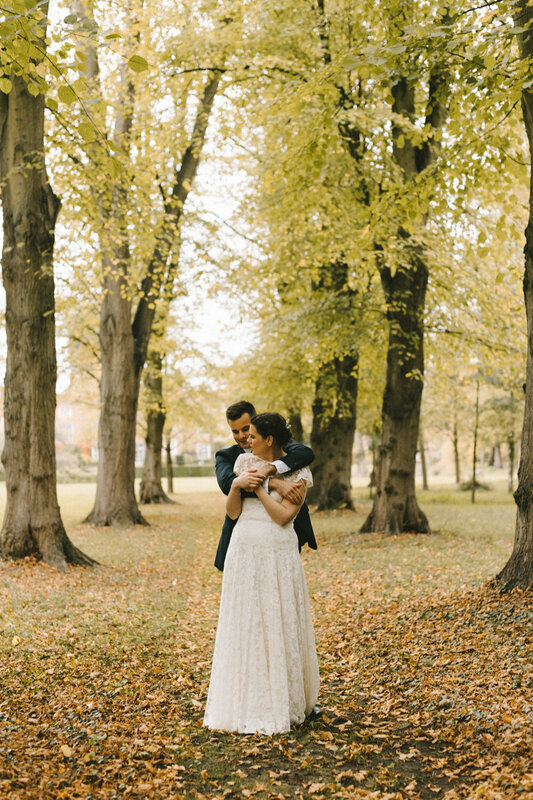 Our beautiful bride Lizzi married her gorgeous hubby in a relaxed autumnal ceremony. The couple love the light at the end of October and made the gorgeous changing colours of the trees part of their decor. 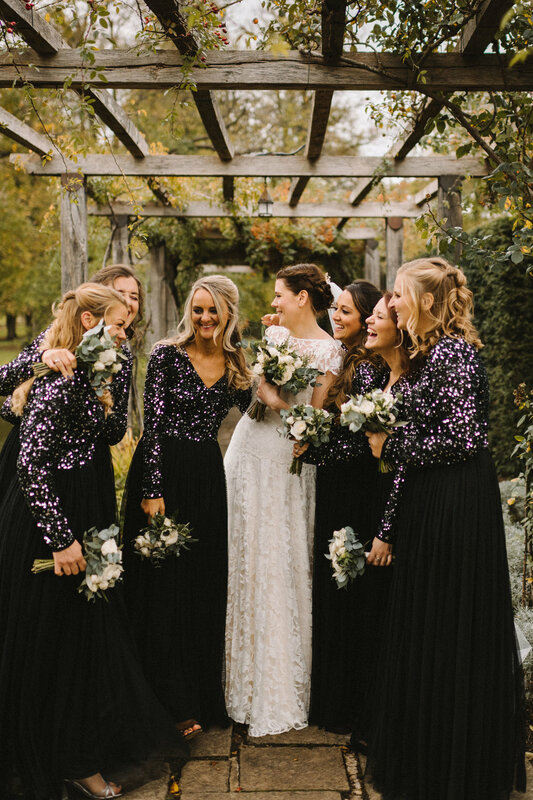 Lizzi chose our Jessica dress and it looked incredible on her! The couple chose to include a lot of foliage and greenery in their florals, alongside thistles, white roses and dark anemones. A beautiful touch was that they included some rosemary in there too, to represent anyone who couldn’t be with the, on the day. Thank you to the wonderful couple for sharing these beautiful images with us and we wish you both every happiness in your new adventures together.